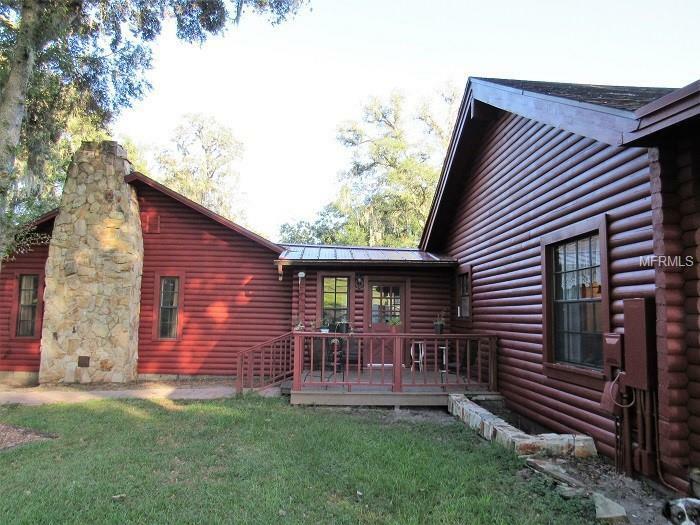 Welcome to this fabulous Log home sitting on 4.7 acres. 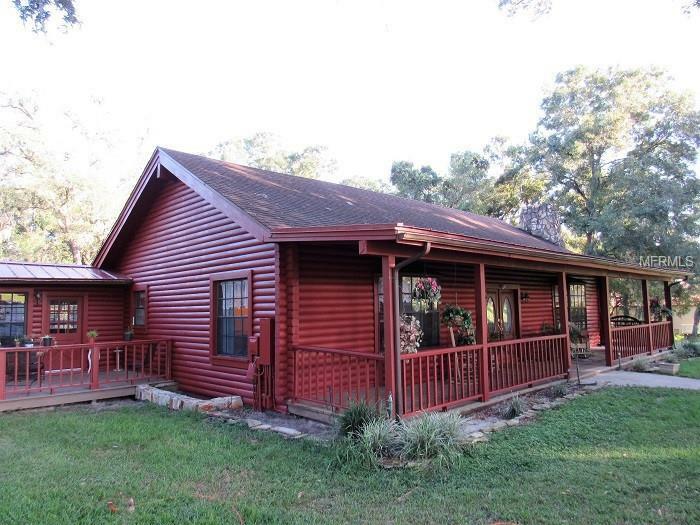 This Red Cedar Cypress Home is a combination of two homes with a connected Florida room with a balcony overlooking the park like setting with beautiful oaks. This property would be great for a large family, extended family or even a Bed and Breakfast that already has county approval in a great area. 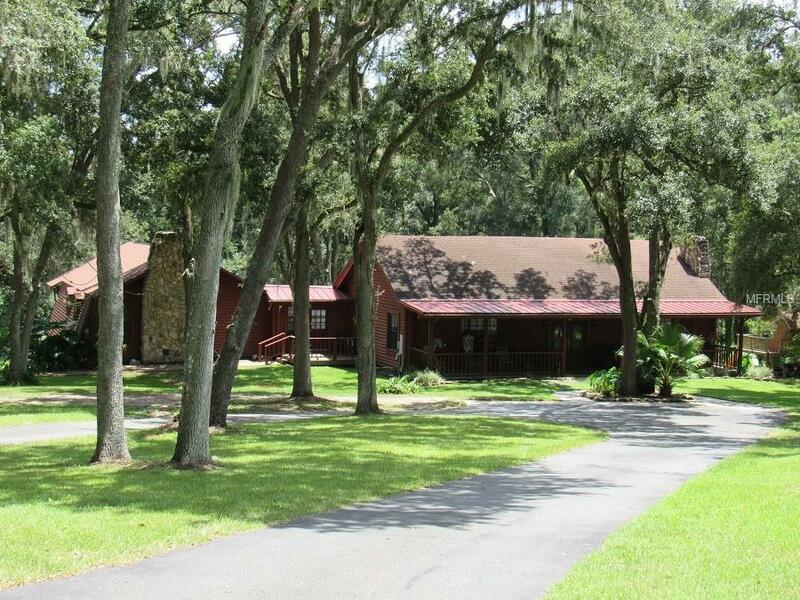 This home features 4 BR, 3.5BA with a loft area. The living room has cathedral ceilings, hardwood floors, a wood burning fireplace, remodeled kitchen with quartz counter-tops, custom cabinets, new stainless steel appliances and a center island. The master bedroom is equipped with his & her offices. Massive screen enclosed patio with heat pump heated pool and spa.The bonus area consists of a 2 BR, 2BA 1600 sq. ft. home that has a den being used as a 3rd bedroom currently.Entering from its own private entrance, the home has a full kitchen and living room with wood burning fireplace. There is a bonus room off of the master bedroom that can be used as a private retreat or office. This home has a 1600 sq. ft. workshop underneath and a pool bath with full laundry facilities. This family compound is surrounded by other large estate properties. It is also within 1 mile of a State forest horse riding trails. 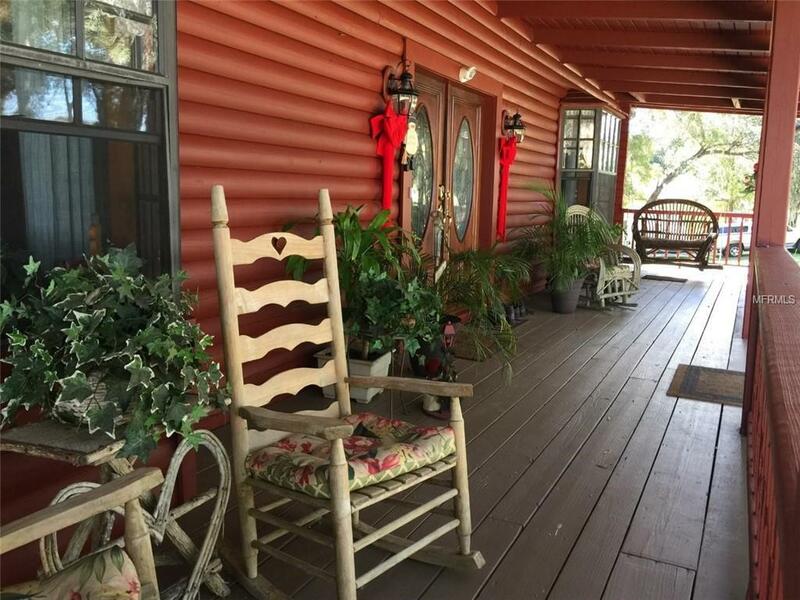 Beautiful scenic landscape, close to major roads that connect you to shopping, entertainment, hospitals & beaches, yet you enjoy the private Brooksville countryside. Less than 10 minutes to I-75.Home warranty included.